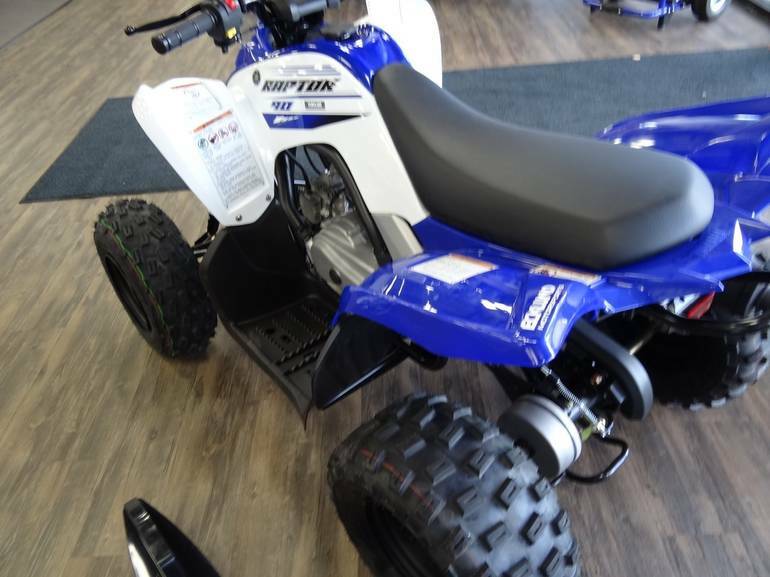 Electric start, reverse and aggressive Raptor styling are sure to attract the attention of budding sport ATVers 10 years and older.Compact, Sporty and Confidence-Inspiring 90cc Engine- The Raptor® 90 is built to bring maximum fun to the youth ATV class for riders 10 and up, with a low-maintenance 90cc engine tuned to develop excellent low-to-mid range performance. 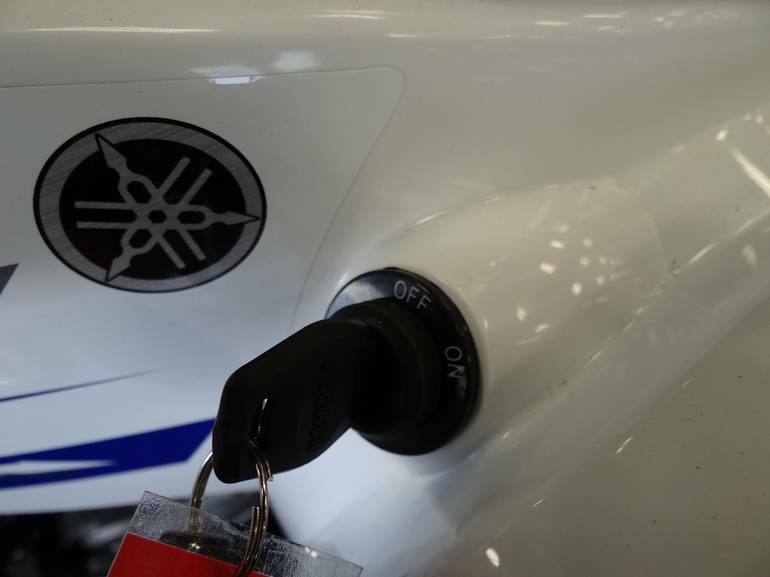 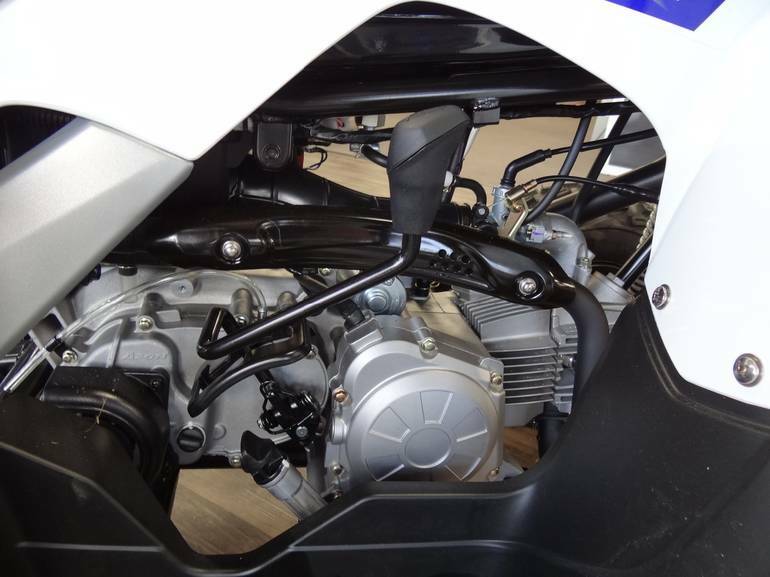 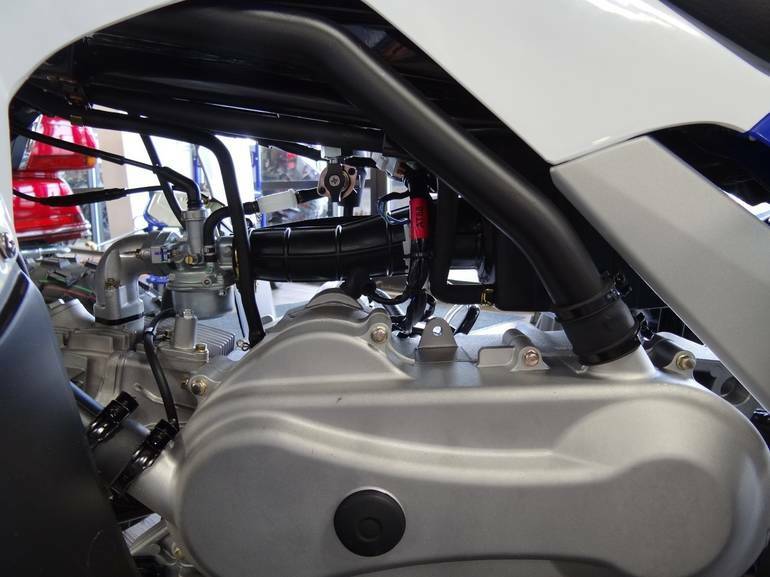 It also has features surprising in this segment, like a fully automatic CVT transmission with reverse, gated shifter and electric start with a back-up kickstart - all standard.Reduced Maintenance Design- Servicing is simple, too, thanks to features like the tool-less quick-access air filter element.Scaled Down, Not Scaled Back- Compact A-arm front suspension is tuned for light, sporty steering and comfortable ride quality, with preload-adjustable shocks offering 5.0 inches of wheel travel and adding to the Raptor 90's full-size ATV look. 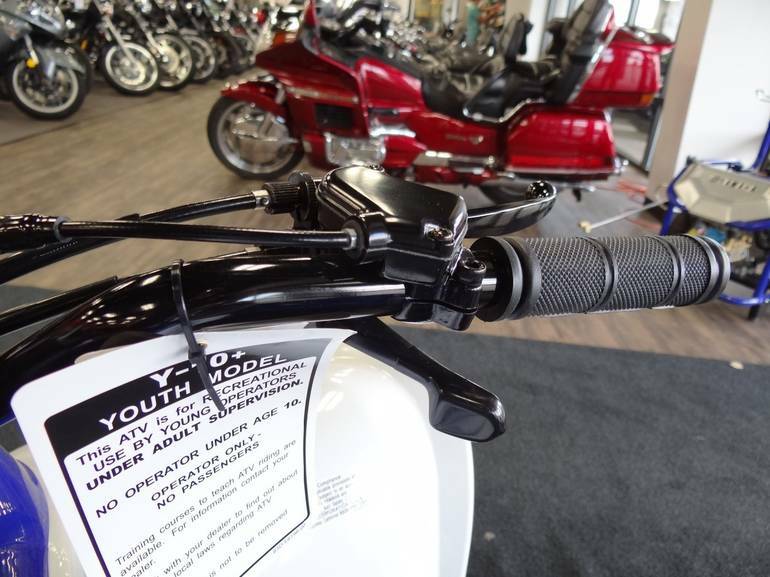 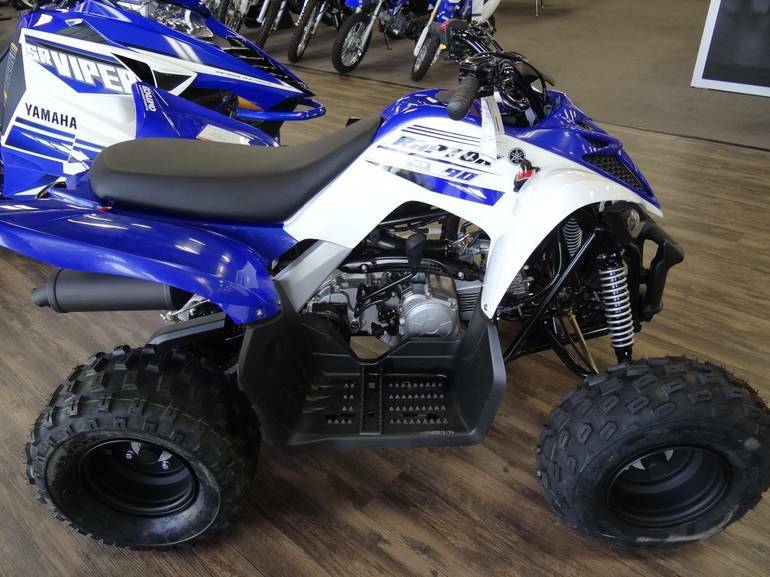 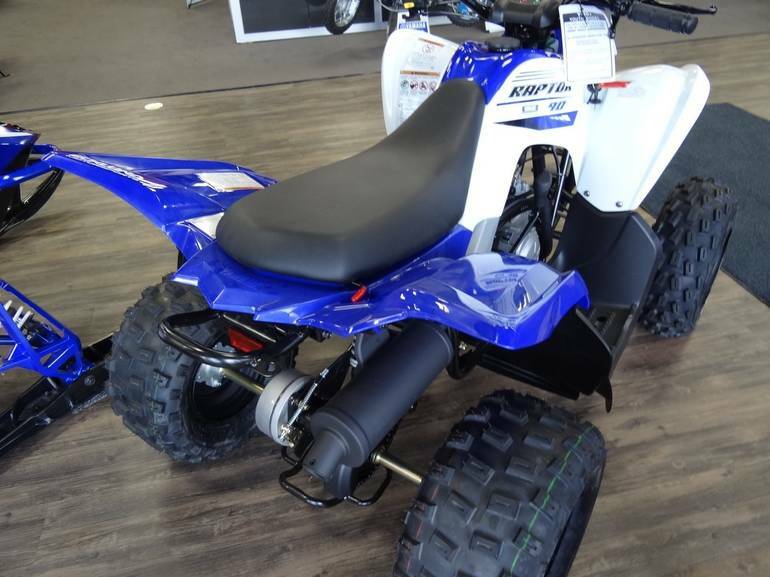 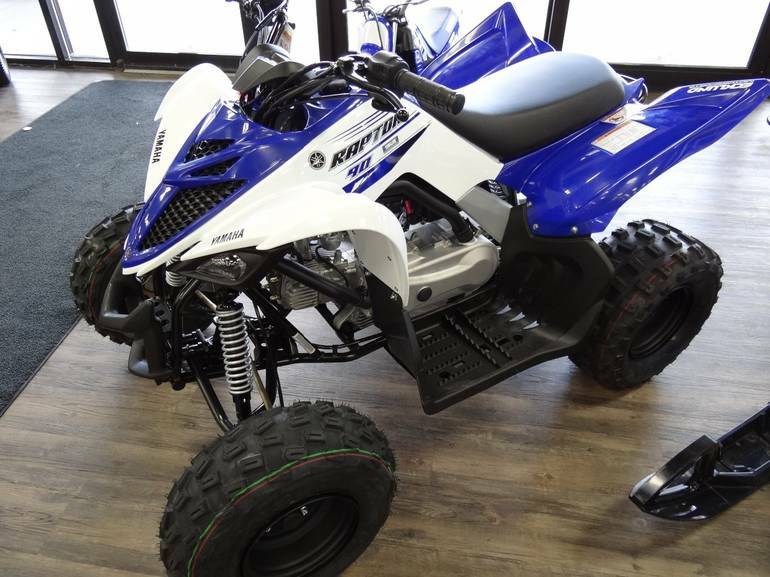 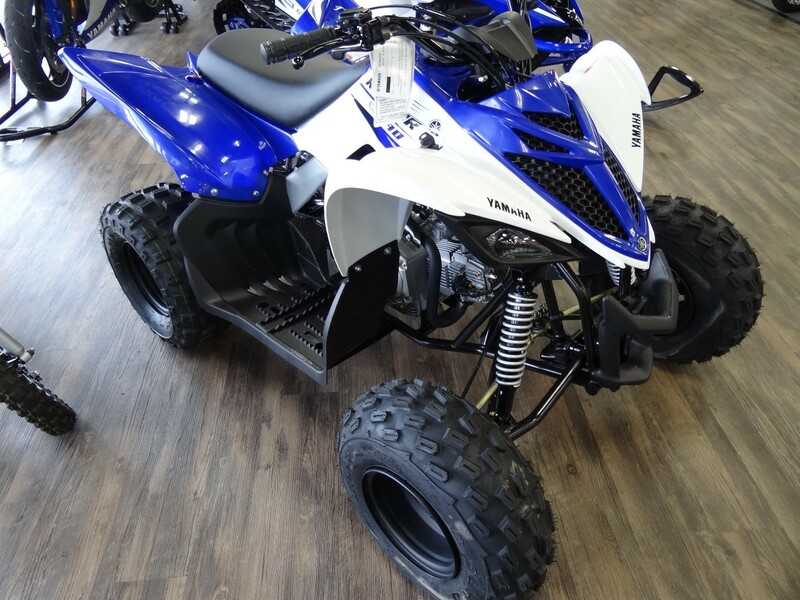 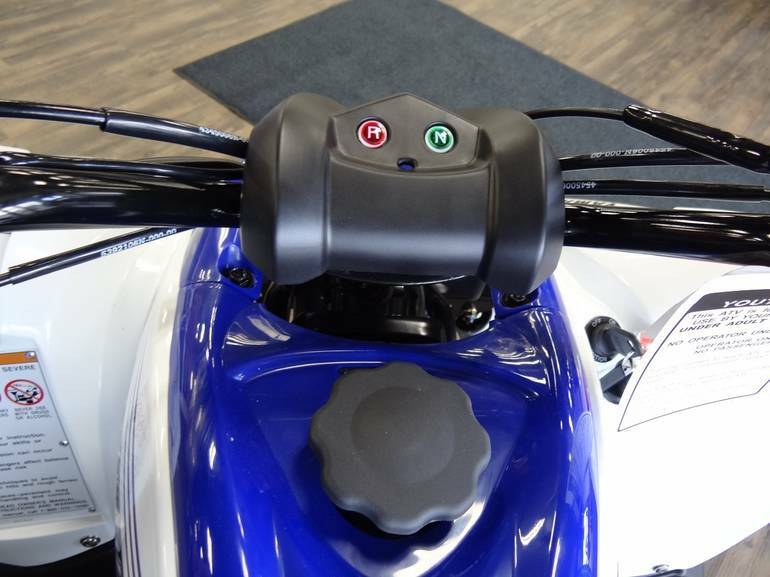 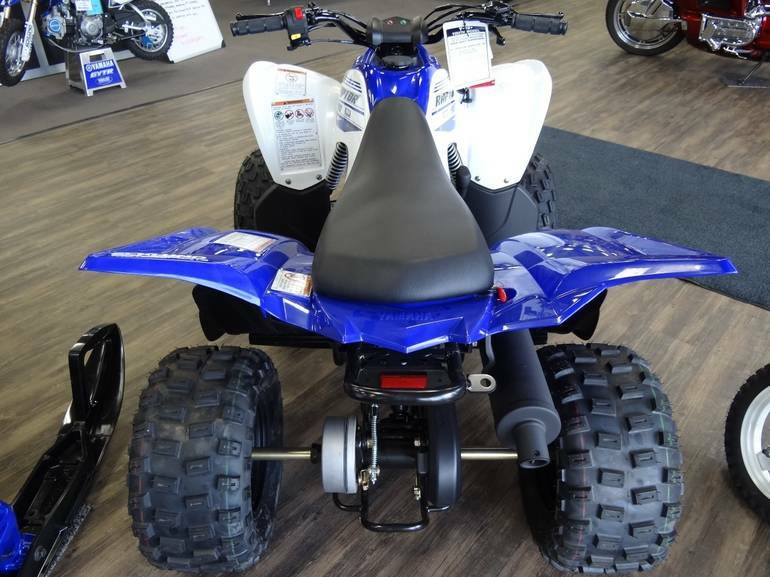 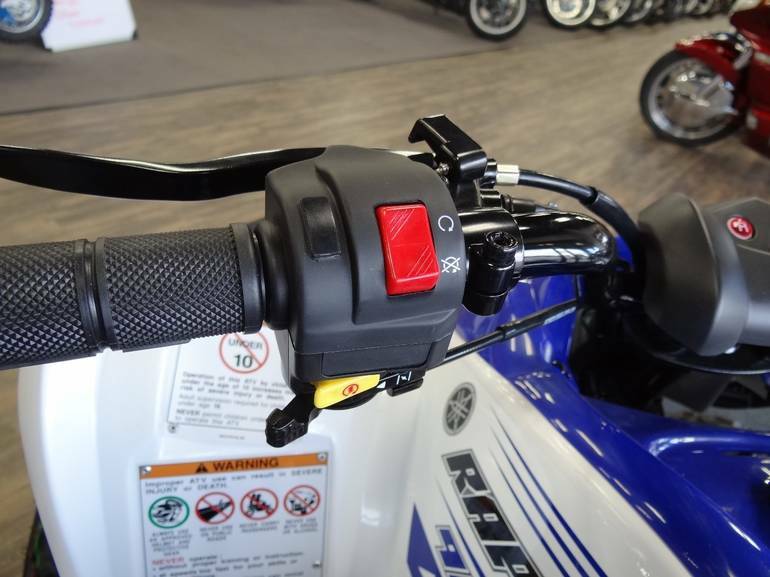 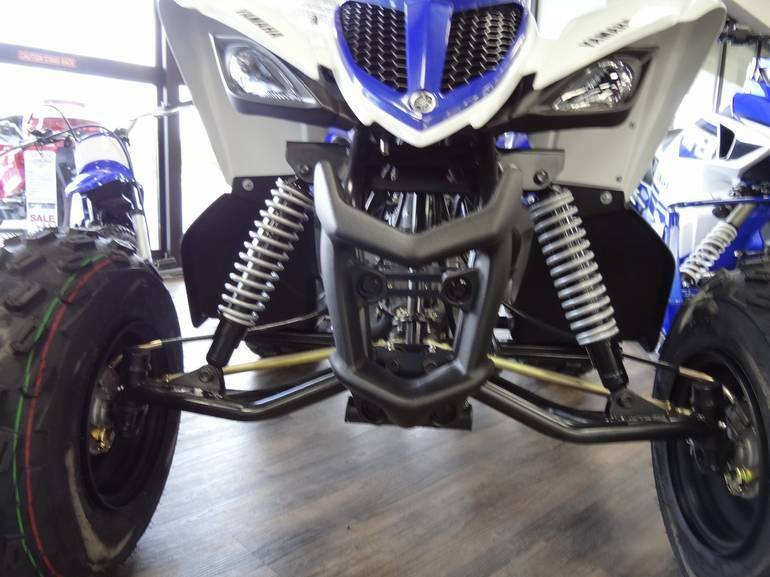 The rear swingarm also features a 5-way preload adjustable shock, offering 5.8 inches of wheel travel.Comfortable Chassis- An advanced frame design incorporates a large 1.7 gallon fuel tank, plush seat and roomy integrated floorboards inside a long, secure wheelbase.Yamaha Raptor DNA- For sporty looks and handling, Raptor 90 uses low-profile Duro tires on lightweight wheels and styling unmistakably inspired by the mighty Raptor 700R.